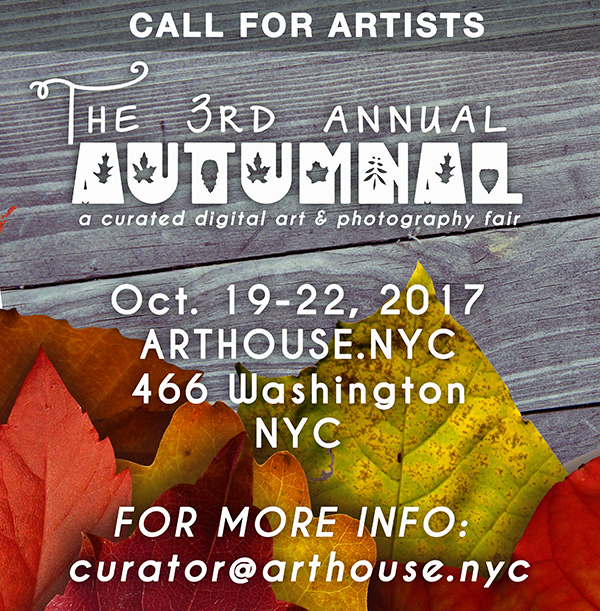 Join ARTHOUSE.NYC for the 3rd annual Autumnal - A Curated Digital Art Fair - We invite artists & photographers to exhibit bodies of work and new harvested projects at our fall fair. Display bold colors that reflect a season of change and transformation. Share your passion and perspective with art lovers and collectors alike in a friendly and accessible environment in the heart of NYC.